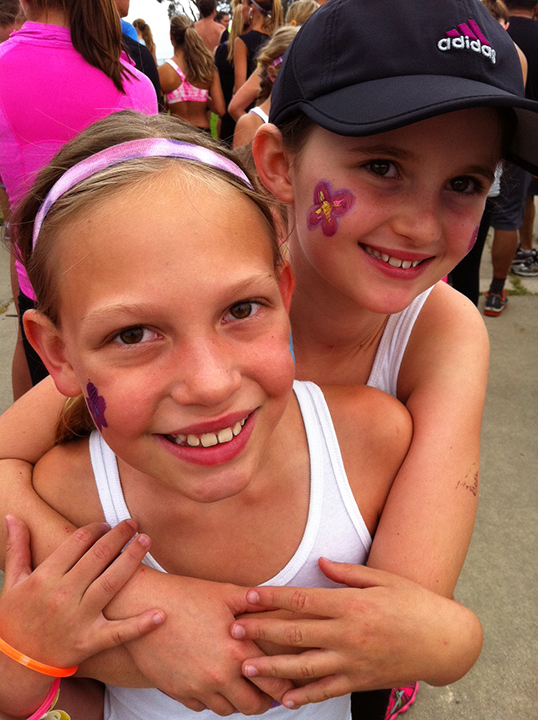 Spring is in the air and tons of fun things are on the horizon with all my kids running teams! It’s going to be a busy few months, but this is the kind of busy I like! 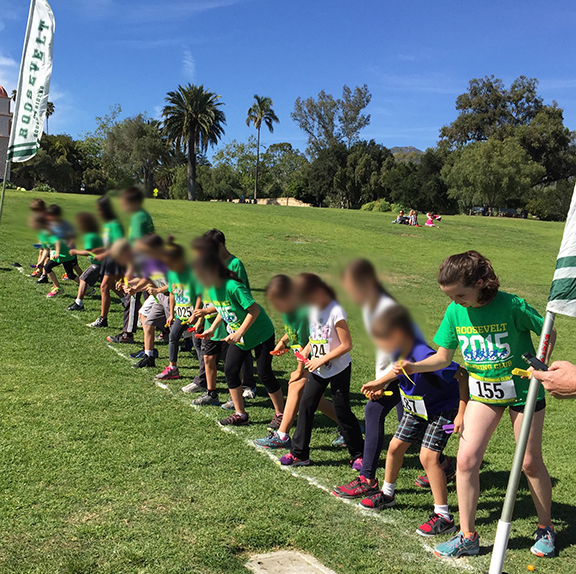 The Roosevelt Running Club toeing the line during last season’s Magic Mile race. About half the team will be veterans, returning for their 2nd, 3rd, 4th, 5th, 6th or 7th season of Running Club. The rest are first timers. Most interesting is that a third of the team will be made up of 1st graders! Oh boy, it might be time to fasten my seat belt! Thankfully, I have several parents who will be involved in helping wrangle and motive our youngest athletes. Can you imagine if these kids stick with the program all the way through 6th grade? Our school could be sending some fine cross-country runners off to junior high school! 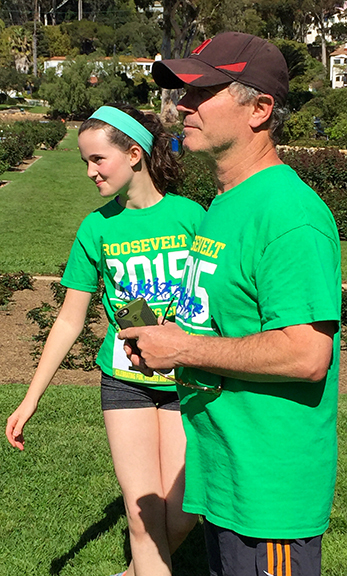 The Roosevelt Running Club is a family affair. Jeffrey has been my awesome sidekick coach from day one, and our daughter Olivia has become a team leader, having participated on every team we’ve coached. I’m so lucky to be able to share my love of running with these two! Once again, my hubby, Jeffrey, will be coaching with me, and our daughter Olivia, will be taking part too, as one of our most dedicated runners. She’s the only member of Running Club who will have been on the team all 7 seasons (and no, not because we make her; she truly wants to be there, even though ballet is really her “thing”). 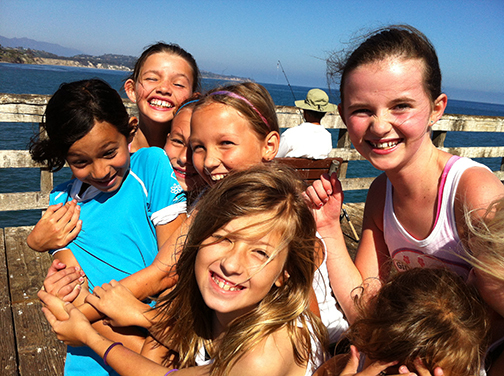 The other exciting news is that I’ve been asked to start a running program at Montecito Union School this spring. 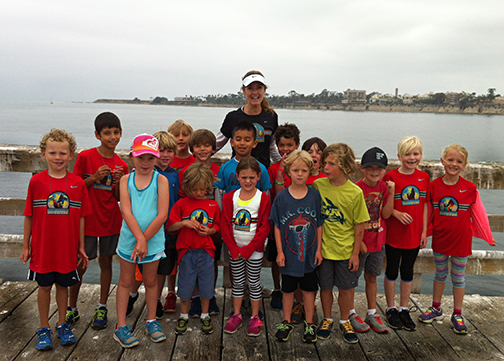 My schedule is already packed to the gills, but I couldn’t resist getting more and more kids turned on to running. If all goes according to plan, that program will launch in mid-April and will take place on Monday afternoons all the way through early June. I can hardly wait to feel the energy from this new adventure! One of my mom friends from this school, Ashlee Mayfield, set the wheels in motion for this program to happen because she is passionate about health and fitness for kids too! 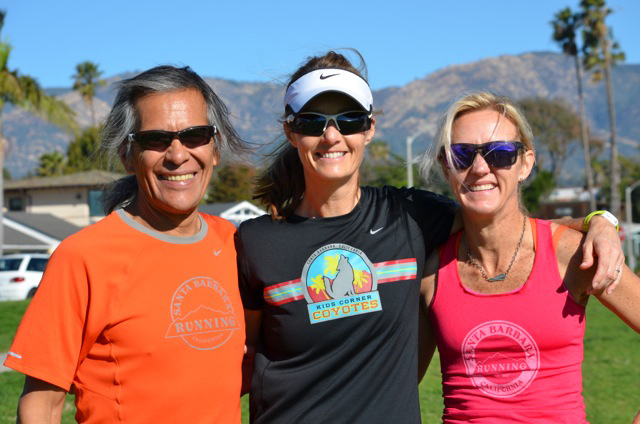 She’s a fabulous runner (she just ran the super tough LA Marathon in 3:39), and has been involved as I’ve helped coach her sons on our Coyotes team. Thank you Ashlee! It takes a village, right? A fun Saturday morning with my fellow Coyote coaches, Nash Jimenez and Monica DeVreese. On top of those two fun things, our spring session of Kids Corner Coyotes (the team I just mentioned) will start on May 2nd and go through June 7th. This is one of my favorite teams to coach because we have so many kids who return season after season. 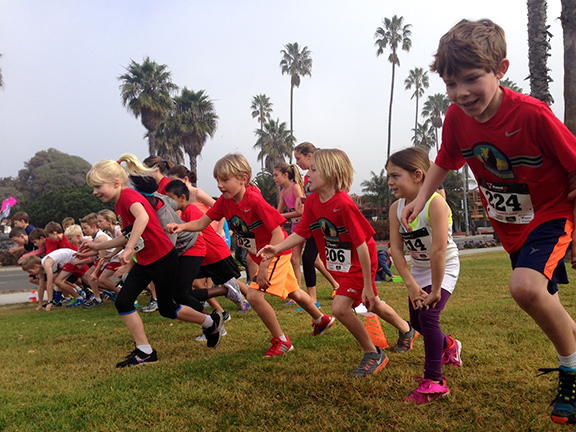 Their spirit brings a special electricity to our Saturday mornings, especially since many of their parents love to run too. It’s also fun to coach with Nash Jimenez and Monica DeVreese. They’re both the epitome of fiercely competitive, top-notch athletes (understatement) who know how to nurture, challenge and support the kids they coach. What’s also fun is that my daughter, who has run on our Coyotes team for many seasons, is now finding joy in being Monica’s helper for the Kinder Coyotes (ages 3-5). She loves helping take care of “the little ones.” We’re still in the middle of sign-ups for Coyotes (click HERE if you’d like to know more or register your child), and it’s looking like it’s going to be another record full team. 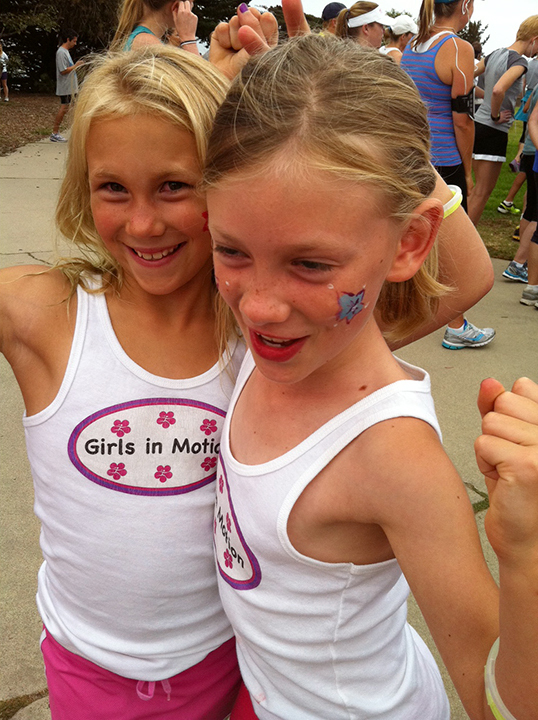 Last, but not least, I’m putting together a Girls in Motion running and fitness summer camp, which will take place in mid-July. 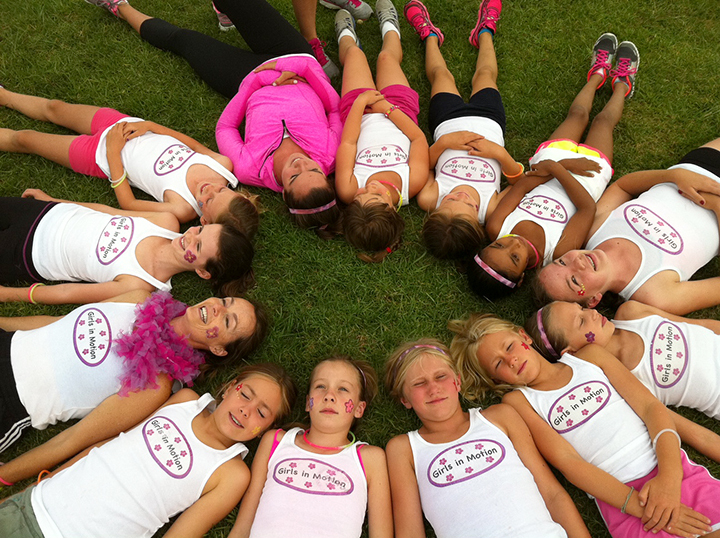 This camp is all about “Girl Power” and embracing our “inner amazing-ness” through fitness and teamwork. 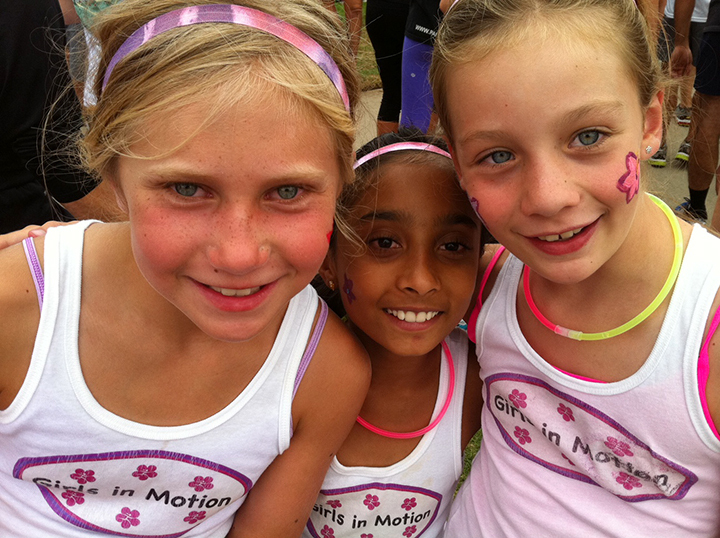 I’m putting this camp on through the awesome organization, Moms in Motion. 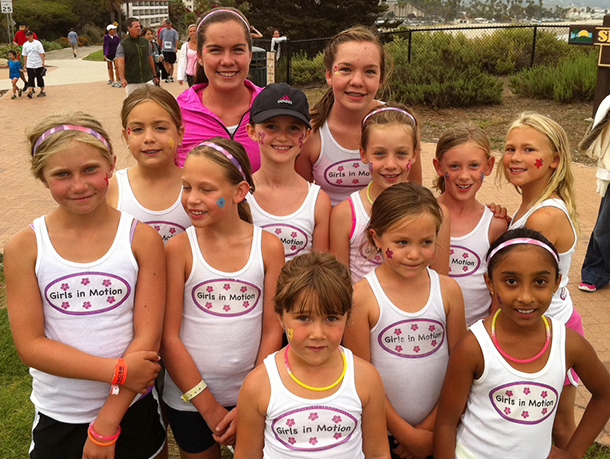 Our intention is to get girls ages 6-12 fired up about a lifetime of health and fitness by providing a supportive environment for them to thrive. It’s so much fun to be putting all the details together like an itinerary filled with fun running and fitness challenges, yoga, strength, nutrition, as well as a list of amazing guest speakers, and goal setting ideas. I can hardly wait for this camp to take place this summer! If you know any girls who might be interested in taking part (July 13-17 from 9:00-12:00), please email me for a registration form: runwithbecky(at)hotmail(dot)com. 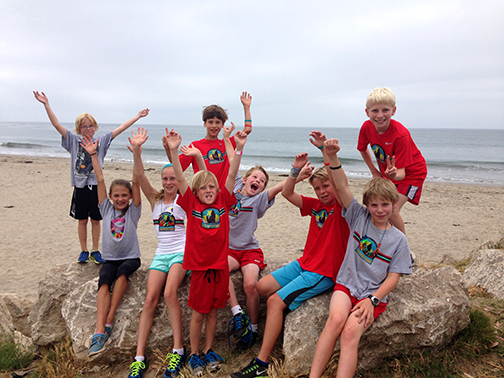 Here’s to sharing the beach, road and park trails with all these amazing young athletes. They continue to inspire me every day in many, many ways. 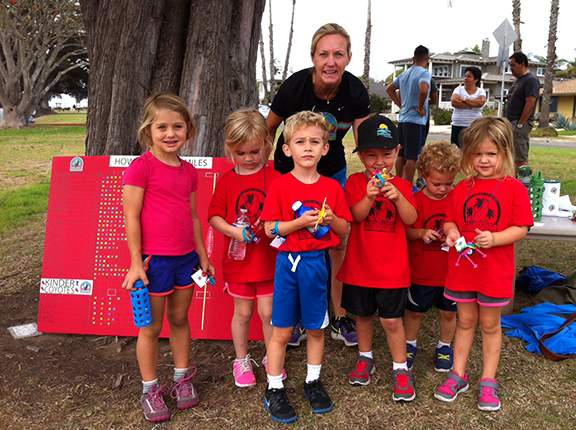 Do your kids like running? What’s in store for your spring?